The Mountainview location will be closed temporarily until further notice. 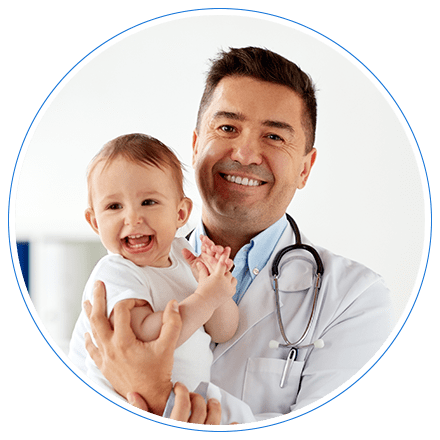 "The best pediatrician in the Bay Area!" "Amazing and very knowledgeable. My whole family appreciates all of Dr. Stein's help." "Dr. Stein is the nicest and most professional pediatrician I ever met." "Thank you for the 8 years of service. I'm lucky to have found Dr. Stein." "The best doctor I've ever had for my kids. Thank you Dr. Stein for your hard work!" "We love Dr. Stein and her staff. It's refreshing to have such dedicated individuals." "Dr. Stein has been my children's pediatrician for many years, and will continue to be." 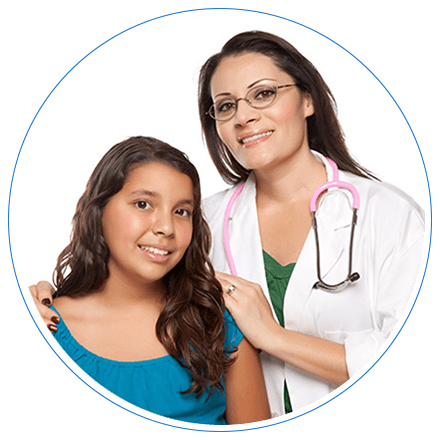 Sima Stein, MD, is a well-known and much-respected pediatrician who leads the team at Stein Pediatrics in Mountain View and San Jose, California. She provides high-quality, personalized medical care to infants, children, teenagers, and young adults. Dr. Stein welcomes patients up to 21 years of age and offers a full range of skilled medical services in an inviting, patient-focused environment. One of her goals throughout her career has been creating long-term relationships with her young charges and their parents. Her expertise includes evaluation and management of newborns, sick-child visits, as well as monitoring childhood development, which includes gross and fine motor skills, cognition, and speech. She’s a longtime advocate of helping prevent childhood illnesses through parental instruction, healthy nutrition, and preventive medicine. Her outreach to the teens and young adults in her community includes education, screening, and treatment regarding sports injuries, acne, birth control counseling, STDs, and healthy lifestyle choices such as routine exercise. Even her offices are designed with her patients and their parents in mind. Her waiting rooms include a separate area that helps limit contact between patients scheduled for well-child exams and routine monitoring and those who are feeling ill.
There’s a private room available for nursing mothers, should they wish to use it, and a pharmacy nearby for convenience. Patients and parents alike will appreciate the toys, books, and popular high-resolution videos available to help relieve boredom. Stein Pediatrics is equipped to provide services in English, Chinese, Hindu, Russian, Spanish, Ukrainian, and Vietnamese. Dr. Stein is also certified to conduct immigration medical exams. Dr. Stein is a board-certified pediatrician who received her medical degree from Second Moscow State Medical Institute. She completed residency programs in pediatrics at New York Methodist Hospital and Stanford University Medical Center. School and sports physicals are available same day! At Stein Pediatrics, we accept most major insurance plans. Here is a short-list of some of the most popular plans we accept. Please contact our office if you do not see your insurance provider listed. "I would definitely recommend Dr. Sima Stein for anyone needing to collect their USCIS-related medical evidence and in a timely manner." "Dr. Stein is highly knowledgeable and quick to identify a problem, which is why she has multiple recognitions for being an outstanding educator and Doctor." "Dr. Stein has been my kids doctor since day one. She always has a way to make things easy for me and helping my kids feel better." "Thank you Dr. Sima Stein, from our Family and friends that continue to go to your Office. You are greatly appreciated!" "One of the best doctors in the area. A Good communication with kids and parents and deep medical knowledge and experience. Thank you doctor Stein!" "I always recommend Doctor Stein to my friends and family and will continue to do so with all my pleasure." "There is no better pediatrician than Dr. Stein. We love her and her staff and appreciate all that they do for us."